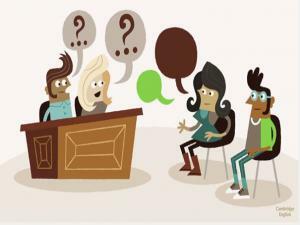 If you have a speaking exam with another student, you may be asked to do an information gap activity. This means you look at some information and your partner looks at different information and then you talk and exchange the information.This site has lots of tips to help you get top marks in this type of speaking exam. 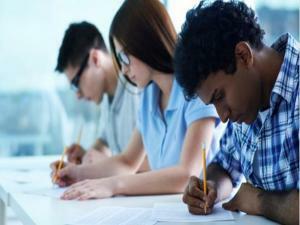 Do you find writing exams easy or difficult? What sort of writing exams do you have to do at school? This site is divided into 3 sections and gives you tips and advice to help you plan, write and review your writing task in an exam. This is the British Council IELTS section where you can find practice materials and advice to help you prepare for the listening, speaking, reading and writing modules of the IELTS test. There is a series of videos focusing on the speaking module of the test, as well as online practice activities and mock test papers for the other three modules. IELTS is the world's most popular English language test for higher education and global migration.Take IELTS with British Council to help you on your way. 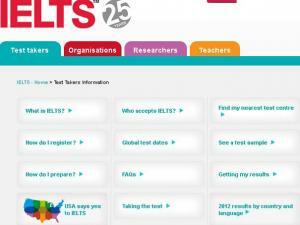 Use this site to Book your test; Prepare for your test; and Find out about results. Advanced ESL students can take either the TOEFL or the IELTS exam. Which exam is necessary in what situation? Which one is easier? How are they different? Why are they necessary? 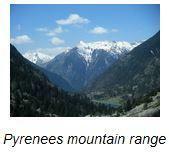 The teacher answers many questions about these two exams and makes recommendations for you depending on your situation. Are you planning on taking the TOEFL exam, but you're nervous about the essay? 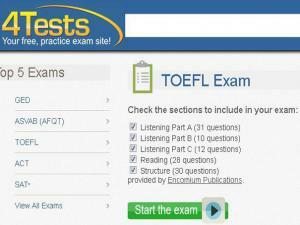 An English teacher explains what to expect when you are given a TOEFL essay topic. She also gives patterns to follow when writing an essay. 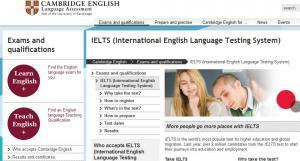 A great site that gives you lots of information and advice in preparation for your IELTS exam. 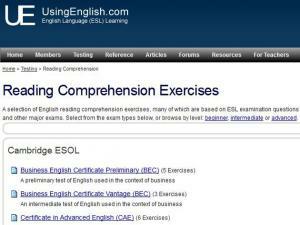 It also has separate sections looking at specific Grammar points and Vocabulary for the exam, explains each component of the exam (Listening, Reading, Writing and Speaking) and gives some sample questions. 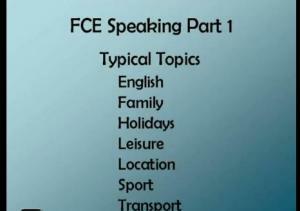 This video helps prepare you for part one of the FCE speaking exam with typical questions and answers. 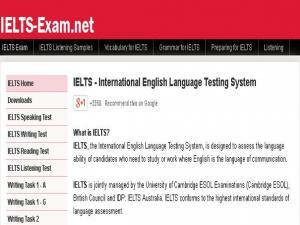 IELTS is the world's most popular test for higher education and global migration. 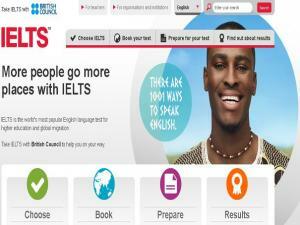 Last year, over 2 million candidates took the IELTS test to start their journeys into education and employment. Find out why taking the test might be good for you and look at some of the sample questions and information about taking the exams. 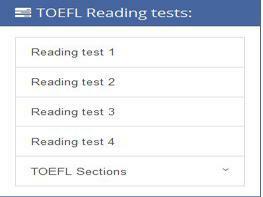 The TOEFL® test is the most widely respected English-language test in the world, recognized by more than 9,000 colleges, universities and agencies in more than 130 countries, including Australia, Canada, the U.K. and the United States. This site is run by the registered TOEFL awarding body (ETS) and gives you all the information you need on what to study for the exam and where to take it. A good, comprehensive site that gives IELTS Test Takers all the information they need to register for the IELTS exam, as well as advice on how to prepare and study before the test. There are practice questions and material to go through for each section of the exam. 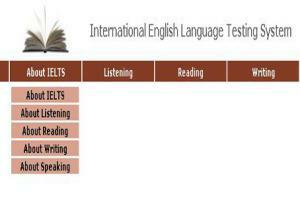 The IELTS exam lasts for two hours and 45 minutes. It has a listening, a reading, a writing and a speaking part. 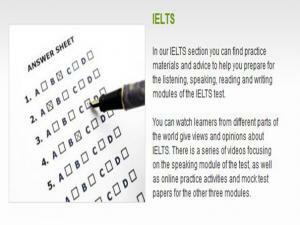 Use this site to practice all 4 elements of the IELTS exams and work your way towards a great result! 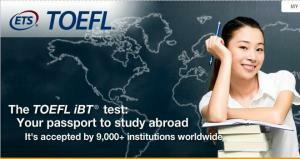 Taking the TOEFL test is a very important part of your journey to studying in an English-speaking country or program. This site gives you a basic overview to help you learn more about the test, as well as practice exam questions.You can choose to do the whole test in one go and see your score at the end, or you can your check answers as you go along. There is a full explanation for any errors so you can correct your mistakes. 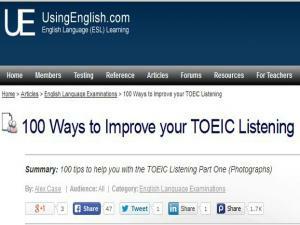 This resource will help you practice for the TOEFL reading test. Part 1 has a reading passage about the development of language and grammar and 13 questions. Think carefully before you select an answer. Your answer is scored on the first click! This video teaches you how to do the key word transformations (changing tenses) of the Use of English exam. The video includes some common types of questions and suggestions for exam preparation. There is an interactive self-test at the end of the video. This is an English video lesson to help prepare you for Part 1 of Use of English for First Certificate. It will help you prepare for specific topics and question types. 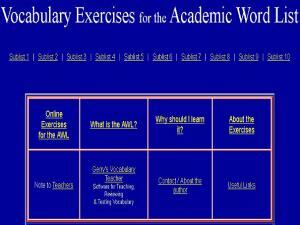 This site uses a list of words, an Academic Word LIst (AWL), which appear with high frequency in English-language academic texts to practice Academic vocabulary. 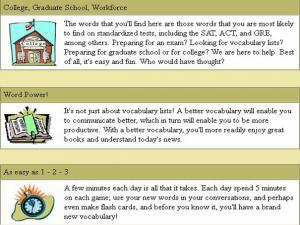 There are 200+ exercise links for students to practice and review their vocabulary, grammar, reading, listening, pronunciation, TOEFL, TOEIC, IELTS & more! 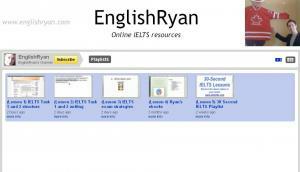 Ryan has a YouTube Channel dedicated to helping you prepare for the IELTS exam. 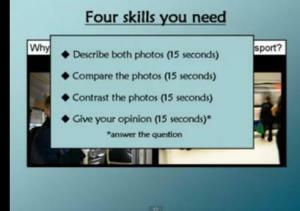 The videos include test strategies, preparation and discussion of how the test is graded. 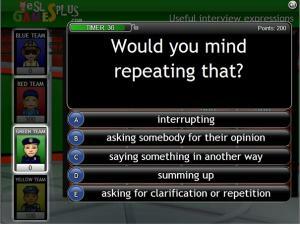 In this video clip learn more about the speaking test from the Cambridge English Language Assessment. 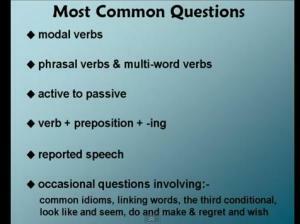 There is advice and tips for people taking a speaking test and examples of questions you might be asked.